Function: The board shall establish procedures to review the children’s division policy and provide written opinions and recommendations for change to the division, provide draft policy suggestions for improvements in foster care or adoption practices; and provide, in accordance with section 210.566, content of in-service training to be provided by the Children’s Division to foster and adoptive parents. Compensation: Reimbursed for actual and necessary expenses incurred in performance of official duties. 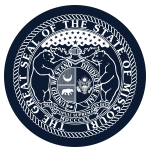 Member Requirements: The board shall be comprised of foster and adoptive parents: 2 members from each of the seven children’s division areas within DSS as follows: northwest region; the northeast region; the southeast region; the southwest region; Kansas City Region; St. Louis area region; and St. Louis City region. Members shall be appointed based upon recommendations by regional foster care and adoption boards, or other similar entities. Geographic Requirements: 2 from each of the seven Children's Divsions areas.